Richard Matt, one of the two men involved in a daring and complex escape from the Clinton Correctional Facility, is dead, shot by officers after he refused to be taken alive. 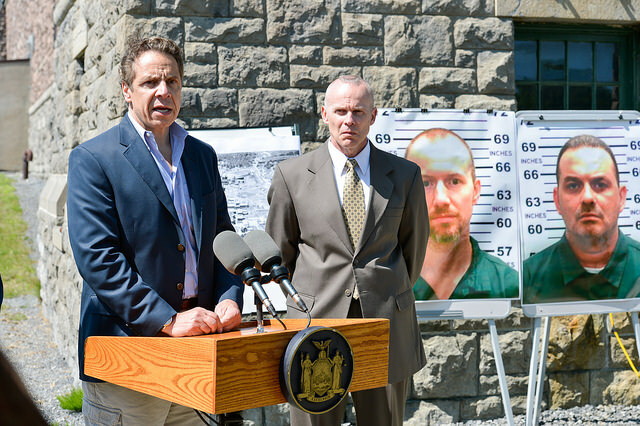 The other, David Sweat, was captured and returned to a maximum security prison after being shot twice. The high drama, which played out across national media, is apparently at an end. But investigations of the prison have begun, prison employees are retiring and suspended, and later this year things are likely to flare up in Albany hearing rooms, as Senate Republicans plan to investigate how policy may have led to the pair's escape. Some legislators see the incident as reflective of the strain Gov. 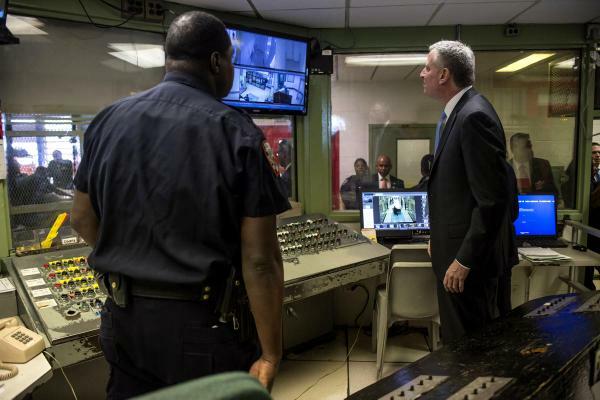 Andrew Cuomo's prison reforms has put on guards and correctional facilities across the state. Others insist the escape was an isolated incident that isn't indicative of anything other than two criminals so badly wanting to escape that they went to remarkable, made-for-Hollywood lengths. 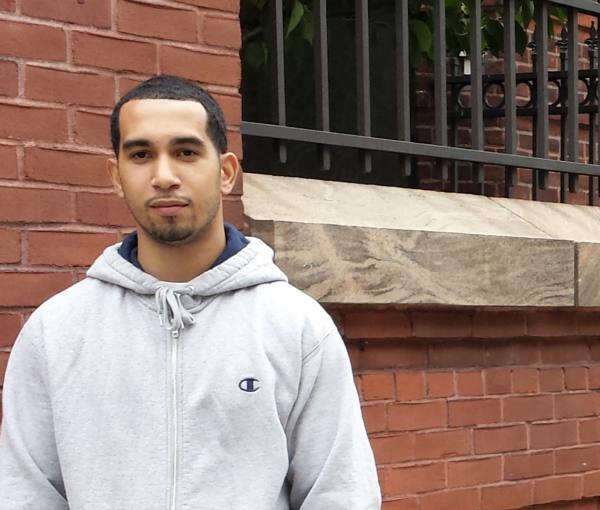 Some advocates and legislators who support Cuomo's prison policy, which has led to the closing of 13 prisons across the state, say they fear the hearings may be used to attack that policy rather than investigate the escape. The Cuomo administration did not return a request for comment. Sen. Patrick Gallivan, chair of the Senate Committee on Crime Victims, Crime and Corrections, told Gotham Gazette that he intends to hold joint hearings of his committee with the Committee on Investigations and Government Operations after any criminal investigations are completed. "I want to be conscious of the Legislature's role here and maybe not get into the nitty-gritty, but look at the larger issues of public policy," Gallivan said. He noted that, while his thought process is ongoing, he expects the main areas of focus to be staffing, safety, and contraband. The government operations committee has subpoena power. Gallivan also noted that The New York State Correctional Officers and Police Benevolent Association has testified "for the last five years about safety and staffing levels." NYSCOPBA contends that the Cuomo administration maintains a "bloated" administrative department at the Department of Corrections, and should look there to make cuts rather than closing prisons and cutting staff. They say that small upstate communities that rely on prison jobs are devastated by the closures and cuts while the safety of communities across the state is jeopardized. "Violence in New York State prisons is on pace to reach a record high this year," Mike Powers, president of the NYSCOPBA, wrote in a statement this spring. "It's time for a real plan to invest in staffing and resources to help protect our law enforcement officers and keep our prisons safe." The New York Daily News and the Albany Times Union both reported that the Cuomo administration's efforts to reduce overtime spending left two guard towers at Clinton Correctional Facility empty and that similar concerns about overtime prevented a lockdown and search after a brawl broke out involving dozens of inmates only a few days before the escape. Sen. Gustavo Rivera, who sits on the Senate corrections committee and supports Cuomo's prison reform efforts, said that he has tremendous respect for Gallivan and expects him to take a thoughtful approach to any investigation. However, he said he felt that the escape was an isolated incident and not reflective of any major policy. "I don't think this is a systemic issue. These were two guys who were committed to get the hell out," said Rivera. "We know there may have been a few bad staffers but that does not lead me down the road to, 'We need systemic changes,' or something particular like increased staffing." Many reform advocates also consider Gallivan to be especially open-minded on criminal justice issues and receptive to ideas from both sides of the aisle. However, they are concerned that with 2016 being an election year, Republican leadership will see the hearings as an opportunity to attack prison reform efforts. Cuomo has made that issue one of his administration's top priorities. "An incarceration program is not an employment program," Cuomo famously said during his 2011 State of the State address. "If people need jobs, let's get people jobs. Don't put other people in prison to give some people jobs. Don't put other people in juvenile justice facilities to give some people jobs. That's not what this state is all about. And that has to end this session." Since then the administration has closed 13 facilities, both upstate and downstate, and reduced the corrections budget by millions of dollars. The administration backed up its efforts to close prisons by pointing out that the state has been paying to maintain thousands of empty prison beds while increasing funding for alternative sentencing. Gallivan said that empty prison beds doesn't necessarily mean they have enough beds in the right places. He wants to investigate whether there is overcrowding within higher-security facilities. Records show that the population at Clinton Correctional has declined, while incidents of violence or finding contraband have increased fairly dramatically. Assaults on prison officers across the state increased by 29 percent between 2010 and 2014; with most assaults occurring in maximum-security facilities. Assembly Member Daniel O'Donnell, chair of his chamber's Corrections Committee, was so shocked by what he saw during a December tour of Dannemora that he wrote the Cuomo administration and asked it to invest in body cameras for prison guards to reduce violence. He has since said he believes the prison is "The most dangerous prison in the New York state system." The Cuomo administration dismissed discussion of O'Donnell's letter when the two prisoners escaped in early June, telling the Daily News, "This is a serious situation and shouldn't be used as an opportunity to push an agenda." Gallivan said that he has heard anecdotal evidence from corrections officials that body cameras are helpful in reducing violence and that he has an open mind about their employment. The senator added he is still in the early planning stages of the hearings and that developments in the criminal investigation could change things drastically. "We're going to let any criminal investigations run their course and I expect that could be sometime in the fall. Meanwhile, staffing is a budget issue, so I'd like to get this done before next year's budget."